There is a moment in Matsumoto’s science fiction epic Number 5 where one of the characters talks about what is most important to him: “The kids are playing on a hill bathed in sunset… Red bean soup and home baked bread on the table… The kids talk about their day… The sight of herons headed south… A mundane life… I’ll do everything I can to get that back.” It’s tempting to see this moment as a preview of his wonderful new book, Sunny. But while Sunny is a sweet and thoughtful chronicle of the mundane events that make life worth living, it is also full of sadness. Its characters are children who live in a home because they have been separated from their parents. Sei vainly believes that his parents will come back for him. Kenji’s father is always drunk. 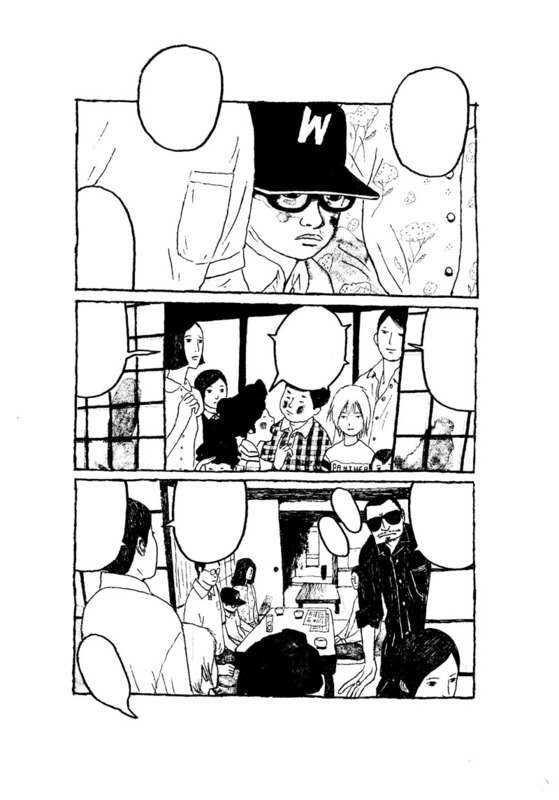 Haruo doesn’t want to see his mother because when he does, he is just anxious about the moment when they will have to say goodbye. Their only escape from reality is a broken down car (the Sunny of the title) where they can pretend they are somewhere else: on the moon, in the desert, or in a race. As with some of Matsumoto’s other books, the story concentrates on the inner lives of the boys and their feelings about the home and the other children. Each chapter concentrates on one of the children, spending time on a brief defining moment. For instance Shunsuke’s theft of a classmate’s sparkly chopsticks. Or my favourite moment, Sei imagining himself driving back to his real home in the Sunny. I love how Matsumoto combines line art and watercolour. The watercolour is used for the leaves of trees and the hair of some of the kids. The art is some of the most realistic of all his books. Each character has a consistent, distinctive look, and this gives the story the impression of being very grounded and real. In terms of Matsumoto’s other books, it is most similar to the slow-moving, thoughtful examination of childhood in Gogo Monster. But unlike Gogo Monster and many of his other books, there is no supernatural element. 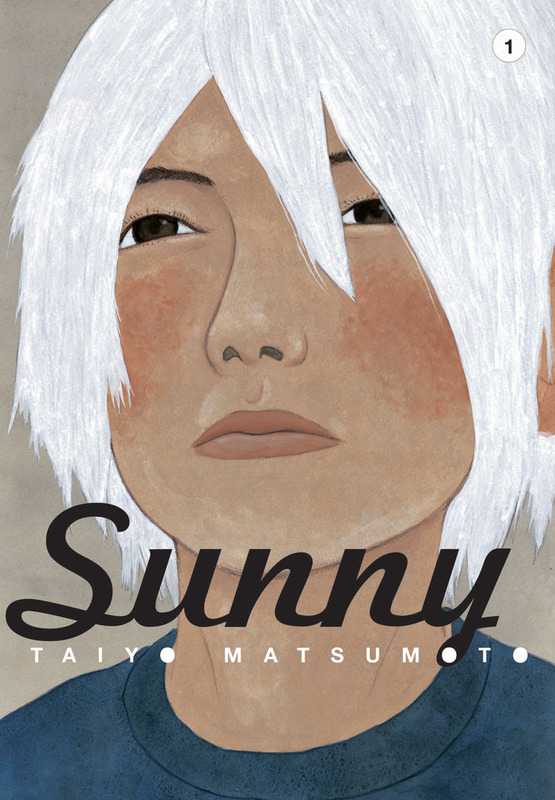 And the revelation that Sunny is based on Matsumoto’s own childhood makes it even more poignant. 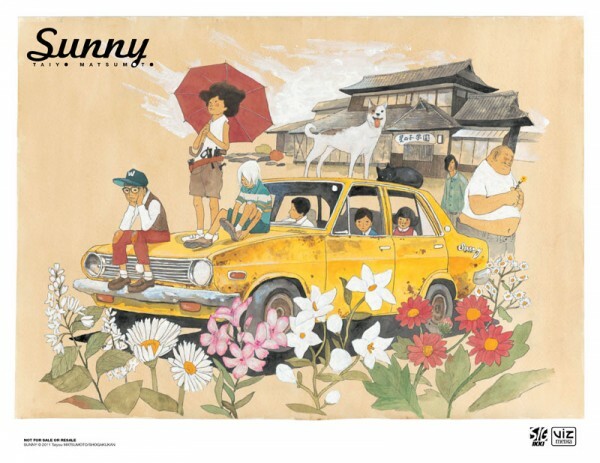 Sunny Volume 1 is now available at The Beguiling. Get a free SUNNY print with purchase of Sunny Volume 1! Previous PostShipping July 3rd, 2013Next PostChoose Your Own Book Launch! Ryan North’s To Be Or Not To Be VS. This Is How You Die!